Conversation w/ Jacquie & Karen Audio Podcast: Knowing When To Shut Up! 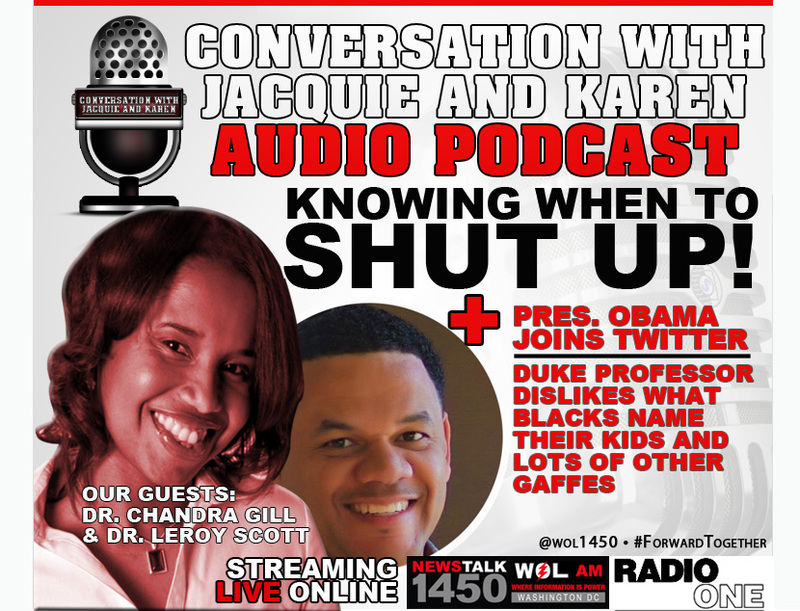 In this week’s edition of the Conversation with Jacquie & Karen Audio Podcast, Dr. Chandra Gill and Dr. Leroy Scott join us to discuss knowing when to shut up and lots of other gaffes being tossed around in the media. Plus President Barack Obama officially joins Twitter with the @POTUS twitter handle. All that and more in this edition of the Conversation with Jacquie & Karen Audio Podcast.